Sarah Nader - snader@shawmedia.com Phillis Dorsch of Algonquin tours a room at Centegra Hospital-Huntley during a community member tour Thursday, July 7, 2016. 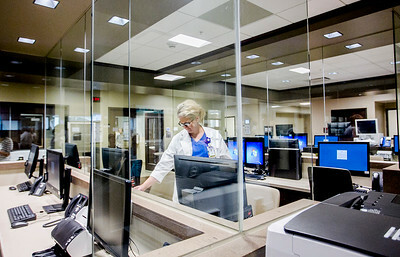 The hospital plans to open August 9. 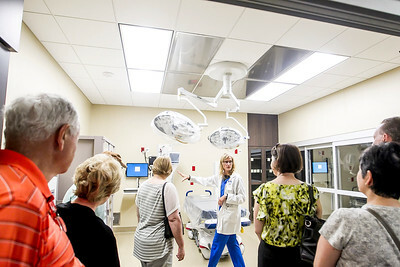 Sarah Nader - snader@shawmedia.com Heather Shukis (center) gives a tour of a trauma room at Centegra Hospital-Huntley during a community member tour Thursday, July 7, 2016. The hospital plans to open August 9. Sarah Nader - snader@shawmedia.com Catie Schmit, Assistant Director of Emergency Services at Centegra, during a community member tour at Centegra Hospital-Huntley Thursday, July 7, 2016. The hospital plans to open August 9. 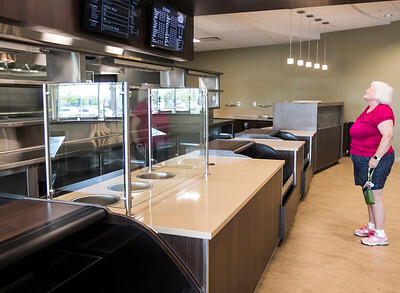 Sarah Nader - snader@shawmedia.com Cheryl Nix of Lakewood checks out the new cafeteria at Centegra Hospital-Huntley during a community member tour Thursday, July 7, 2016. The hospital plans to open August 9. Phillis Dorsch of Algonquin tours a room at Centegra Hospital-Huntley during a community member tour Thursday, July 7, 2016. 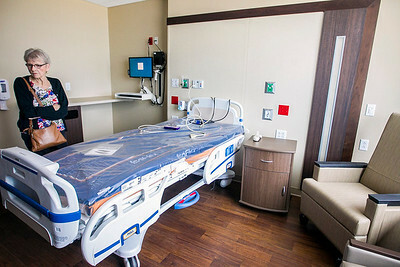 The hospital plans to open August 9.